pH is the measure of the hydrogen ion concentration of a solution. This concentration is measured on a scale from 1-14 and helps us understand if something is acidic or basic. Why is this important? Because acid in our mouth can contribute to the ever dreaded cavities. If a solution (like a can of pop) has a pH of 3.5, for example, we know this beverage is more acidic than a glass of water. A glass of water, from a city tap, often has a pH of around 6.5. A glass of water from a well may have a higher pH (around 7.0 or more) because it may have natural minerals in it that cause it to be more basic. What about bottled water? The pH in bottled water can vary as well. It’s important for you to test your beverages and make informed decisions about what you drink–even if it’s just plain water. How can you do this at home? Buy pH paper, and do your own home chemistry experiment. 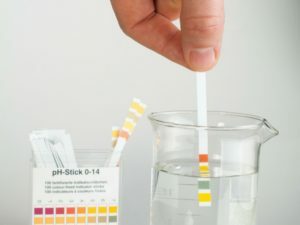 If you start to drink a new beverage, take out the pH paper and test it so you know what is going into your mouth. When the pH falls below normal levels, a process called demineralization occurs. When teeth get bacteria and sugar mixed together on them, lactic acid forms and this causes the demineralization process to occur. Think of it like melting your teeth or burning your teeth when too much acid comes into contact with your teeth too often. This is why we recommend nightly brushing and flossing to get the bacteria laden plaque off of your teeth AND why we recommend a low sugar diet. The affects of sipping on sugary or acidic beverages should also be avoided. The frequency of sugar and acid consumption can affect the pH in the mouth. The longer the mouth stays more acidic (with sipping), the more chances there are for cavities to form. Fortunately, we have saliva (or spit) in our mouths to help buffer or lower the acidity in our mouths. Healthy saliva has a pH of about 6.5-7.2. But, when we have a lot of acidity in our mouths, we override the ability of saliva to buffer these hazards, and that is when we may end up with cavities. Knowing about pH and what causes cavities will help you understand how to avoid getting cavities as well. Keep brushing and flossing, and keep the sugar intake to a minimum. And, of course, see your dentist on a regular basis to help detect any early signs of decay before a cavity gets very large. Dr. Knowles graduated from Alma College and the University of Michigan School of Dentistry. 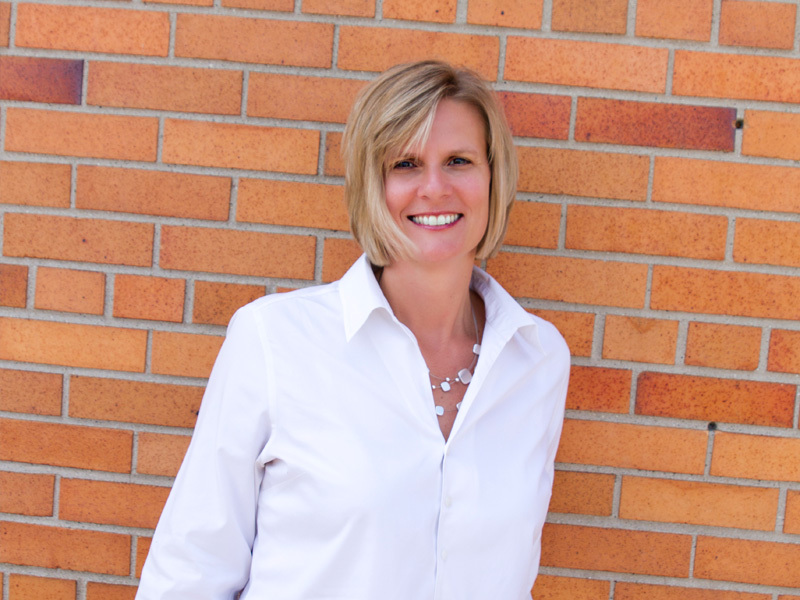 She has almost twenty years of experience, including a one-year extended educational experience as a General Practice Resident at the Ann Arbor Veterans Medical Center. She has extensive training in dental trauma, pediatric dental care, hospital based dental care, special needs dental care, oral surgery, and oral diagnosis. She speaks nationally on the topics of oral and systemic health, leadership development, eco-friendly dental practices, and communication in the medical field. Contact her at her office located between Haslett and East Lansing, Michigan, at 517-332-1000.